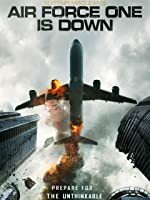 A sudden plane crash leaves at least 48 survivors stranded on a jungle island, forced to scavenge for survival from the wreckage of the plane. As they get their bearings and pin their hopes on a quick rescue, the band of strangers begin to learn the island holds deep and dark secrets. 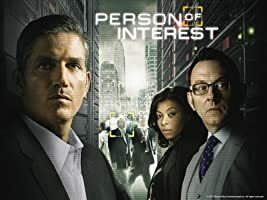 Jack and Hurley discover an alarming secret about Kate, as the marshal's life hangs in the balance and he suffers a lot of pain. 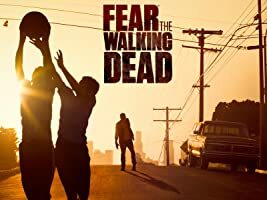 Meanwhile Kate, Charlie, Sawyer, Sayid, Boone and Shannon ponder the mysteries they have begun to uncover and worry that telling the other survivors will cause panic. They decide to lie for the time being. The survivors are jolted awake in the middle of the night when wild island beasts invade the beach encampment. Kate and Michael join the mysterious Locke on a hunt for food-and a shocking secret about Locke is revealed. On the hunt for food someone is injured. Meanwhile, some survivors are horrified by Jack's plan for the dead bodies still scattered among the wreckage-he wants to burn them. 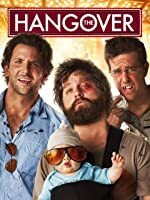 Jack is nearly delirious from lack of sleep and struggles to overcome the haunting events that brought him to Australia and, subsequently, to the island. Meanwhile, Boone gets caught in a treacherous riptide trying to save a woman who went out swimming. A pregnant Claire's health takes a bad turn from lack of fluids, and a thief may have stolen the last bottles of water. Walt and the others are shocked when Michael is brutally beaten, but only the non-English-speaking Jin and Sun know the truth behind the attack. 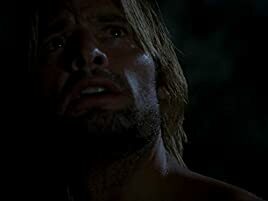 Meanwhile Kate, Jack, Sawyer and Sayid argue about where the survivors should camp-on the beach, where they're more likely to be seen, or in a remote inland valley where fresh water abounds; and Locke discovers Charlie's secret. Sayid's life is placed in grave danger after he stumbles upon the source of the mysterious French transmission, the woman Danielle Rousseau. She was on the distress call and is found alive. Meanwhile, Hurley has a ridiculous plan to make life on the island a little more civilized. The plan involves golf clubs he finds in the debris, and it looks like it just might work. Claire has a horribly realistic nightmare about her new baby being harmed or kidnapped. Flashbacks reveal Claire's back-story: the former boyfriend who got her pregnant, then abandoned her, and the psychic who convinced her to take the ill-fated flight that landed her on the island. Survivors wonder why Charlie and Claire have been abducted - and by whom - and a search party ventures into the treacherous jungle to look for the pair. Suspicions focus on Ethan Rom, who, it was recently discovered, was not a passenger on the doomed flight. 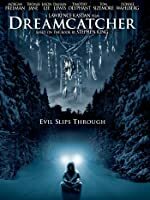 Jack battles inner demons relating to his father, while Boone and Locke discover another island mystery. 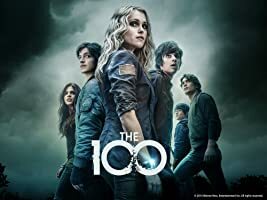 Jack, Kate and Sawyer fight over possession of a newly discovered locked metal briefcase which might contain insights into Kate's mysterious past. 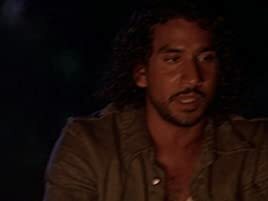 Meanwhile, Sayid asks a reluctant Shannon to translate notes he took from the French woman. 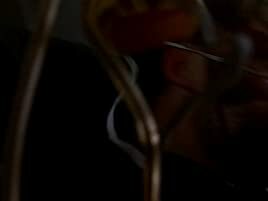 When Locke learns that Boone wants to share their secret with Shannon, Locke decides to teach him a lesson. This leads to Shannon's life being placed in what seems like peril. 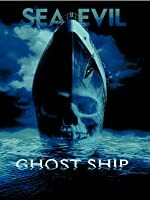 Boone and Shannon's dark past is revealed in a shocking back story that recalls their relationship right before the plane crash and presages the return of the beast. 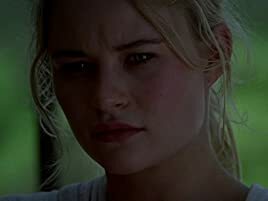 After the missing Claire returns with no recollection of what has happened since before she boarded the doomed Oceanic flight 815, Jack and Locke formulate a plan of defence against her kidnapper, the mysterious Ethan, who threatens to kill off the other survivors one by one unless Claire is returned to him. Kate and Sawyer divulge dark secrets to each other while tracking a renegade boar that Sawyer swears is purposely harassing him. 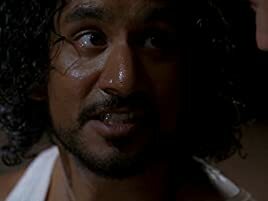 Hurley and Sayid worry that Charlie is losing it after facing a brush with death and killing Ethan with 6 bullets to the chest. 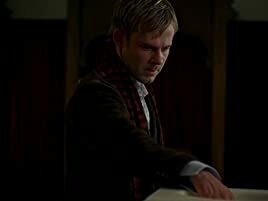 A shocking prior connection between Sawyer and Jack is revealed in a flashback. 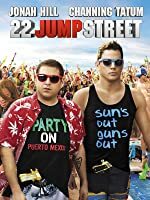 When the raft the survivors have been building mysteriously burns down, Michael is convinced that Jin is responsible for the sabotage, which only serves to escalate their rivalry. 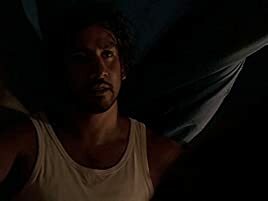 Meanwhile, Sun stuns her fellow survivors with a surprising revelation, and Boone gives Sayid a warning about his step-sister Shannon. 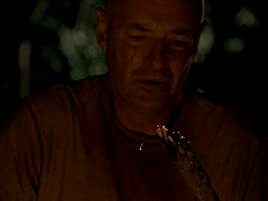 Jack tends to a severely wounded Boone after Locke returns him to the caves. In the confusion, Locke slips away to deal with his guilt over the crisis. Meanwhile, Claire unexpectedly goes into labour while deep in the forest. The Frenchwoman stuns the survivors when she shows up with a dire warning about "The Others,'' while Michael and Jin ready the raft for sailing. Something unexpected at sea surprises those on the raft; the remaining islanders try to blow open the hatch. In the thrilling finale to the first season, a visitor to the encampment could be a threat to Claire's infant son. Two parallel scratches, on the left cheek and on the right temple, are the least of your worries. Average, average scriptwriting, cinematography is ok, the acting is passable, in some cases better than others, it had a lot of potential--- it has a lot of potential in the seed of its conception, as seen in the marketing, the memorable promo teaser trailer, which said everything it needed to but revealed nothing, and the two-part pilot episode, but it never gets there, it never fulfils what it sets out to do and what it portends to offer. It would need a whole workover and new production to make it right --- it wouldn't need a makeover, the cast are model material as is, but it could do with a down-to-earth revision, which would be more relatable, easier on the mind's eye and closer to reality-- of course not for the beautiful ones, they'd wince through a viewing of that one. 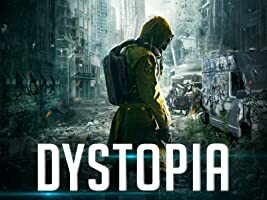 The storylines and character development or unfoldment is kind of reaching, reaching, and you often have to make that stretch to go along with it, for it to be reachable or passable, though sometimes it remains at that cringe-worthy laughably-bad level. I kept watching, ultimately, for the character unfoldment of Crow... I call him Crow because, his name, I don't know--- ah, Locke. And Evangeline Lilly [as Kate] is really just so pleasing to the eyes and to the mind. I practically forgot about her all these years, not having caught LOST when it was doing the sensational rounds on TV between 2004 and 2010, although in the UK, on certain restricted channels, it was a bit later than that, and not having seen her in anything else either, the sorts of films that I would watch, but coming back to it, waww, she's just gorgeous to look at -- in a supermodel sort of way, gorgeous nonetheless. There's just something about her pretty face, smooth skin, almost a bit boyish with her features, but not in a masculine sense... I can't explain, and maybe I should, now that I've started, but the hole is dug and I don't know if I can just keep digging it. Anyway, what I meant to say is that the combination of physical factors, her soft delicate features, and her lips, just blow the teenage mind. So, she was worth watching too-- worth watching LOST for is what I mean. I don't want to play the stalker here. And of course Jack, the character of Jack, the actor's name of which escapes me. He's a good lead actor, better than some of the others, hence he's up front, along with [Kate]. Hurley's Hurley, likeable, and a bit of an odd bod. Other than that, the rest of the cast are relatively more hit-and-miss in their acting abilities, or perhaps above all their ability to be directed or the ability of the director(s) to direct, and in as much of a way as the development of the characters allows. The ones that take the piddle for worst characters though are the Asians. Yakuza Yang and Passive Ping. Yeah, so what, I'm lampooning names. I don't know what their characters' names are, the same as I don't know much about the rest of 'em, and it'd be frowned upon as whitewashing nowadays if I simply used an American-English name for lampooning either of them. It's not like I'm lampooning them badly, or lampooning them well. And I'm not har-pooning them, so give me that. 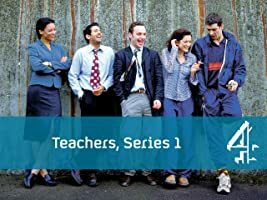 I have nothing against them as Asians but their characters are genuinely the most staid, hammy and stupidly stereotypical out of the entire cast. No fault of theirs, other than the decision to take the roles. It's that whole domineering Asian husband thing which is done to death and the passive li'l servant-wife, buttoned and collared up, at his beck and call. Eurgh. Shine a torchlight in my eyes and blind me. I can't stand anybody being passive, not just the Asians, so you know. G-ddamn passivity! G-ddamn! It's just that, it's obviously not a real plus point to their culture, in the history of their culture, so don't dish me up an offering of it to go with my TV dinner. You're liable to put me to sleep here and then I'd have shepherd's pie on my face --- from the microwave ready meal. 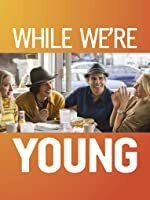 (And if the Asians want to portray how it is, how it was, how it has been in their cultural background and upbringings, through movies and tv shows of their own, then sure, feel free, ha, that word 'free', but when it's coming from American scriptwriters or when it's Americanisedly filtered through a blender, it's just like, ah, gimme a break.... like you know, you care, bit part characters, 'ey need some sorta background, probably be killed off quick, written out of the script, given a back seat behind the official back seats, put on the backburner behind the foremost backburner.) JJ. Abrams is also behind the production, executive production, so it's physically resembling of the other big budget franchises and movies he's been involved in that lack any real merit or worth because they're rather bare of spirit or soul. The overreliance on flashbacks is usually a good indicator of a weak script, depending on how the flashbacks are executed and what they have to reveal. 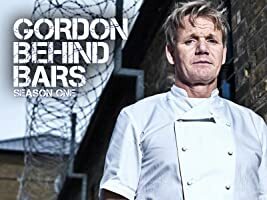 Another downside, and what is possibly the biggest downfall of the show, is the number of inconsistencies, errors, of choice and of continuity, and inaccuracies, which to be honest is the all-encompassing reason for its other failings or shortcomings. But hey, Evangeline Lilly. That Locke character. A desert island. A plane crash. It all sounds very exciting. But it isn't. Roughly fifteen episodes in now. 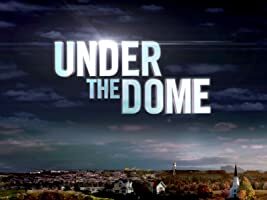 Weak scriptwriting and dialogue, it's honestly so basic and spoon-fed at times, they repeatedly chew it into small pieces and regurgitate -- I could give so many examples, or tell you just to tune in, see for yourself; the greatest example is the formula and structure of practically every episode of the show, but, take Sayid, his past, his haunting memory, is one where, during his power trip in the Iraqi military, the woman he had to torture, interrogate, was a childhood friend, a neighbourhood kid, who used to push him in the mud, and that, for your example, is considered to be a satisfactory explanation for why he's turned out the way he has, a sewing-up of backstories -- him faceplanting the mud as a kiddiewink and being tasked as an adult to torture and dispose of his old friend, whether he happens to or not, of which the unlikelihood is my main issue, that he should have a personal connection to the woman he's tasked to torture and that being pushed in the mud is really so detrimental to him psychologically -- as all of them have a backstory, that unsavoury something which niggles at them, but, as we know, anyone who's read or heard about how the writers decided to approach the direction the show would take, they sewed willy-nilly, 'bit of a stitch here, 'bit of a stitch there. Kindergartens could write better, all the minds together. It's very pandering TV, with constantly problems or puzzles being addressed in the scene to follow, that is, the next scene change, so they hint at something in a character's identity or personality, such as complexes, downfalls, their wrongs, regrets, sins, and then next scene they show you a flashback to make that connection immediate --- effective immediately, no requirement for the viewer to think and interpret and relate to the characters, no growth, evolution, or development. It's just handed t'you in mostly convenient consecutive stages, painted by numbers. In conclusion, I didn't really engage with the first season of LOST (or presumptively the other seasons, but we'll see, 'cause it's fairness and balance and they're got). It held so much promise, had plenty of potential-- what's not to like or go giddy about when day dreamin' the day dream of a plane crash and a desert island --- bein' stranded on a desert island with the foliage, the jungle, the adventure and exploration of uncharted territory, the ability to set up a camp or temporary-permanent home and architect the place to your liking and comfortability, the survival, the fulfilment of surviving and living, breathing, eating, drinking, chilling the fax out, because that fax totes needs to chill, and then there's the matter of who is accompanying you from the plane crash, like cute women, the need for re-pop-u-lation… eee, I've gone too far. But don't tell me you 'avent thought about it mister or missus cause you have! There are some, though not many, stronger scenes, dialogue 'n' intimate or tense moments, which glint something brilliant or spectacular or just at the very least better, but it's not enough to save it-- you can't blank out the rest like it's any good or more than mediocre. Ultimately I feel it's too many episodes. 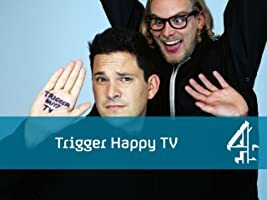 25 episodes? And really not much happens in that span. That's like seventeen or so hours. It's just bulk. It'd give bulk powder a new meaning if it was a powder. They could have gotten to that point, the cliff-hanger to the last episode of season one, in five or ten episodes at most, and ten would be surely pushing it --- five seems right, or six. I could have almost foreseen that coming before I even knew about the hatch. It didn't feel like a sufficient ending to a season, it felt like a cliff-hanger of a single normal everyday episode that should've come early on in the show's run. Balls t'you, LOST. Its basically East Enders castaway on a Hawaiian beach, with better looking actors. There's a bloody fight scene pretty much every episode and everyone's even more messed up and reactive than they are in real life. There's also some stupid mistakes and oversights; There's a very Indian looking guy who's supposed to be an Iraqi whose accent is thick as a brick but whose English is nevertheless perfect. In the episode I've just watched the beautiful blonde guy is described as naked coming out of the sea but in an atrocious piece of editing you can clearly see his jeans. That said, most of the acting's excellent and the plot's quite intriguing. It's also got a bit of spiritual depth. I just wish film and TV producers would quit assuming that everyone wants to see lots of melodrama and men running around acting like apes. 5.0 out of 5 starsRediscovering "lost" is just as entertaining many years after the original viewing. Cast away to a tropical paradise, this is the stuff from which, fantasies are made, add some supernatural mysteries and you have "lost",, it isn't surprising to understand it's success it's a story as old as William Shakespeare's Tempest .but that is why it's fantastic. 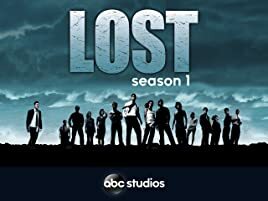 It's hard to believe that Lost will be 10 years old this year, and in the last decade I have yet to see anything on TV that rivals the brilliance of this opening season to the successful and highly acclaimed saga. 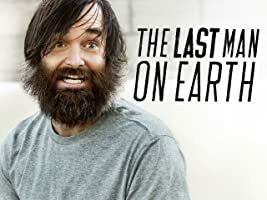 The plot focuses on the survivors of a plane crash who find themselves trapped on a mysterious island, and we get to see Lost's trademark flashbacks to the lives of the main characters and how they came to be on the doomed flight. There are plenty of twists and turns, and the gripping drama is bound to keep you on the edge of your seat. The acting is superb and the cinematography is astounding at times. The casting is spot on and despite the fantasy of the situation, the characters are believable and varied. The special effects and sounds are also brilliant. and it is clear that Lost is truly a big budget and high quality US show. There are plenty of interesting special features on the DVD to keep you entertained even after watching the 25 episodes. Highly recommended and well worth sinking your time into. 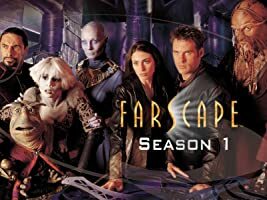 Back in the days before we could just open an app to watch a box set of a complete series, we used to use 'old fashioned' discs called DVD's.... LOL... Well, I had heard hype about this series and watched a couple of episodes from a friends box set when visiting. Suffice to say, I was hooked.. both line and sinker. So, I bought the box set and me and the hubby sat down to watch on our evenings in. 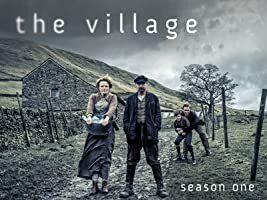 I really enjoyed this series and would recommend to anyone who likes a bit of light indulgence. 5.0 out of 5 starsSimply The Best Ever ! 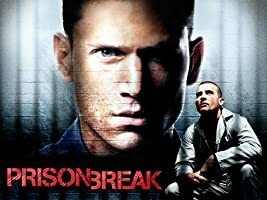 This is the best TV series I've ever watched. Lost is a show that I become totally addicted to, rarely do I watch a TV show religiously because I get bored too easily. Lost changed that and from the Pilot I needed to watch every episode, each episode getting better and the series becoming more interesting with the twists, back stories and the emotions involved it will have you crying, laughing and happy. It's also a very timely show with the recent mysterious disappearance of many airlines. 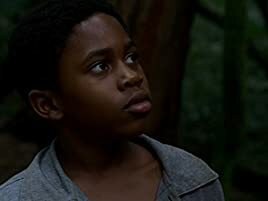 This is the best TV show I've ever seen.. forget your game of thrones, the walking dead.. Lost is and will forever be the daddy - you will never find it boring !